Get the most out of your Carbonio Carbon Fiber Intake System with the Stage II back pipe from APR. If you have installed the Carbonio intake, the next upgrade to make is the Stage II back pipe. 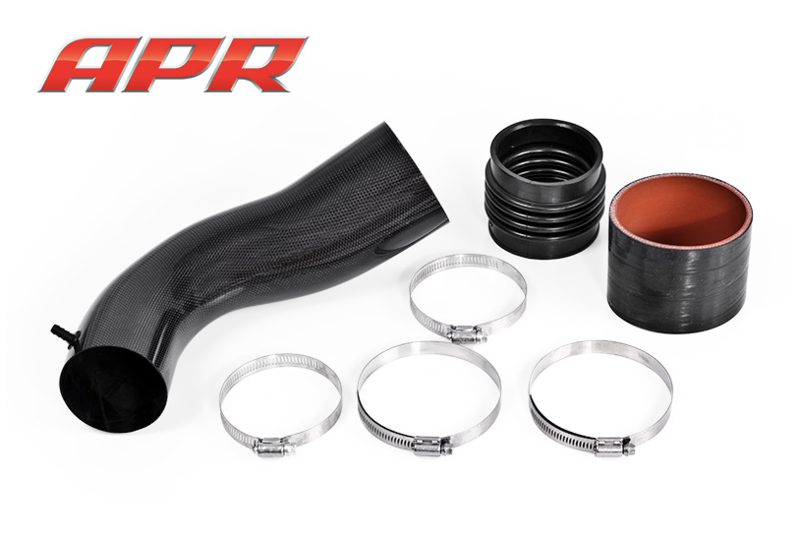 Running from your new air box to the throttle body, this carbon fiber piece will help to improve the air flow of your APR air box and unleash more horsepower. When compared to the stock back pipe used with the APR kit, the Stage II back pipe release 4 more AWHP over the stock unit. This brings performance increases for the entire system to 15 AWHP increases. No need to worry about boost pressures collapsing factory hoses. 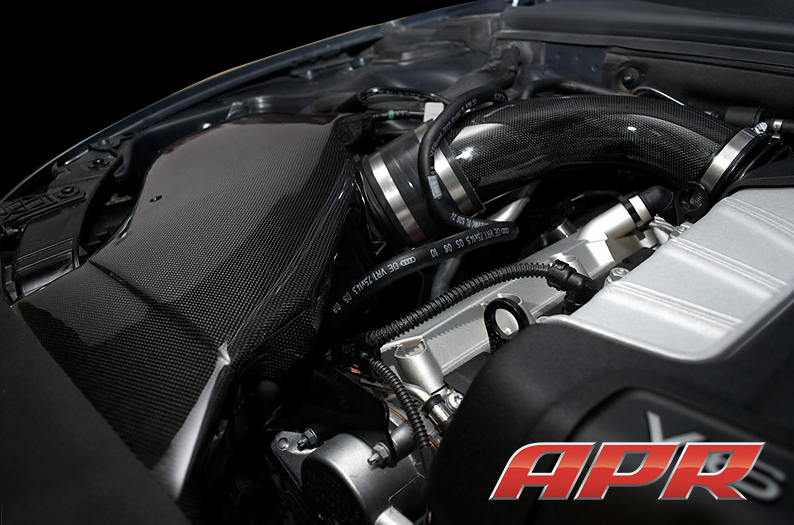 Pick up this Stage II back pipe with your APR Carbonio intake system to bolt on a complete set.